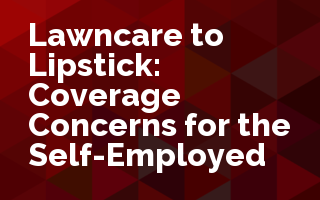 This course reviews common personal lines insurance policies for guidance on coverage concerning business property and activities of self-employed individuals. This course reviews common personal lines insurance policies for guidance on coverage concerning business property and activities of self-employed individuals. Using two case studies as the basis, we’ll discuss limitations when coverage is there and the best solutions when it’s not.